Soffit Trimless Gypsum fitting 120x120x55mm Holder included. This is a hand crafted plaster lighting range. Our design criteria is to make beautifully finished lights with the emphasis on unfussy design combined with low-energy (LED) light sources. Installation is easy in any ceiling or wall, plasterboard and concrete. Luminaries are fixed, built-in light fixture, creating a pure, rectangle, square, round and seamless opening in the ceiling. 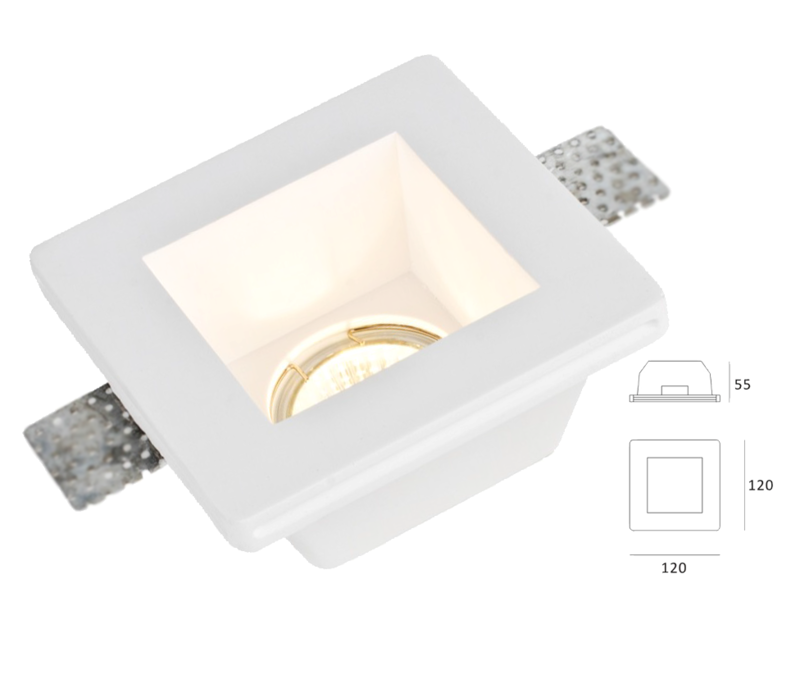 The light source is hidden in the wall or ceiling, providing the ultimate lighting comfort. Plaster is a natural, versatile material established as a primary element in the history of craft decorative and architectural objects. Plaster is very Eco friendly substance with low embodied energy and no toxic coatings. There is no negative effect at the end of its product life as it is harmless to the environment when disposed of. Soffit Trimless Gypsum fitting 120x120x45mm Holder included.